One of my checks inludes a free (E.A owned) property paper. A few of these agents do not use Right move.Bridgend property news. The paper covers a wide area in price and location including Bridgend, Cowbridge, Pencoed, Valleys and Porthcawl. Apart from the cringe worthy editorial on the housing market, it gives me a good indicator of a area I know well, with a good mix of income. Flicking through the online edition today, I could only find two SSTC (usually the average a couple of dozen weekly, some that return to the market the following week) and a couple of 7 days public notice offers. Next edition should be out tomorrow. Are other HPCers finding the same from local papers? The last few pages of my local paper (Tuesday and Friday editions) used to crammed full of houses for sale, ads for new develpments etc. I can safely say that i seen VERY little ads in the past few months. Every so often they would have a "news story" from one of the local EA saying the market is on the up etc. Its obvious to anyone with a brain that this is a section of the paper which the EA has paid for in order to ramp up the doomed market. I replied with my own views once and it was given space on the letters page. I do wish the EA agent had replied but with the arguments i had used as to why the housing market was failing, i doubt he had no counter argument. I do however see private ads from people trying to sell their houses. The lastest ad was quite good. The title was "Recession priced house for sale"
This is Estate Agents saying this, glorious! Just a thought:- In a free world, why would anyone choose to live in Bridgend? Trolls live under it, I heard. The number of sales has slowed in Sussex for sure. Still some surprise sales, but it's all waning. Price drops are routinely advertised as 'New Price'. Lots of unsold. 2nd Sept-15th Sept Only three new properties SSTC from the same agent. Because it's not in England and it's a long way from London and the South East? Good point, but I was thinking mainly of its (to me) poor quality/price ratio compared to other places in Wales. Proximity to that hot bed of Assemblyism/ists, Cardiff is what does it I guess, but as a free choice, no way. My local free paper is crammed full of "we buy your house" ads. Until they've run out of money the crash isn't going to happen properly. which redirects to another site but it's a £1 down and move in type rubbish. 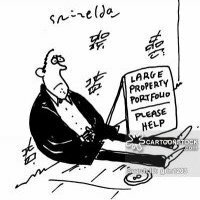 Yes,there now appears to be big selling problems in that area...I just did a Rightmove search of Bridgend within 5 miles surrounding. For a 24 hour period only, it came up with 6 pages, consisting of none sold, new listings, reductions and an amazing 8 property sales that had fallen through. 21 May 2010 * Initial entry found." 10 July 2010 * Initial entry found." £139,995 Three bedroom extended detached bungalow sitting on a large plot in popular location within Cimla. The bungalow has an entrance hallway, lounge, large kitchen/diner, three bedrooms and a bathroom. The property also has front and rear garden along with large driveway and garage. 05 June 2010 * Initial entry found. 13 February 2010 * Initial entry found. 02 April 2010 * Initial entry found. £119,950*****THREE BEDROOMS WITH GARAGE*****A mid terrace property located in Pontyclun. 30 October 2009 * Initial entry found. £59,995 We are pleased to present this three bedroom end terrace property situated in the Caerau area. .
19 February 2010 * Initial entry found. 3 bedroom terraced house for sale Penrhys Road. Guide Price £36,000 DON'T MISS OUT ! Investment. Three bedroom mid terraced property,. A one-time record holder for the highest number of single mothers I believe. I was in Maesteg seven years ago & could hardly move for them & their prams outside ALDI waiting for their taxi home. Good stuff - keep it coming. BTW, the Bridgend area encompasses the Val of Glamorgan which is supposedlyone of the wealthiest places in the UK. I left Wales as a angry young man slamming the door behind me back in the late seventies. The only two big agents I know that advertise strongly in Cowbridge (the darling market town of all the rampers) are Watts & Morgan and HRT. Its really worth checking on this area its got the lot, Bridgend and surrounding areas will be the first to suffer before other areas in Wales. In a house market free of wild distortions, they would choose to live there because they could get a 3 bed semi for perhaps £45k, so a household income of £20k would be fine to live on. Seems like you want to return. Grass is always greener eh? A one-time record holder for the highest number of single mothers I believe. I was in Maesteg seven years ago & could hardly move for them & their prams outside ALDI waiting for their taxi home. Pass it on to J d Wetherspoons. Good place for a new pub! Not sure if its a better or accurate way I just click/unclick SSTC and count the difference in numbers in the top left corner. What I like about the physical property newspaper compared to online. The general public can see the lack of sales on every turn of the page or other EA's words that seem to have littered the paper lately. New price, reduced, viewing a must, unexpectedly back on the market etc. A friends wife back in 2006 put her crappy 1 bedroom house (Broadlands Bridgend) on the market with HRT (no office in the area), just because the agent had a posh accent and met her inflated aspirations. Later it went with a local office agent who sold the property. They (David Birt, HRT, Watts&Morgan) stopped advertising sales altogether in the Gem (free newspaper around the Vale for those who haven't heard of it) sometime during 2008. Not sure if they have re-started as moved out of Cowbridge a year or so ago. Strange strategy - when HRT have outrageously expensive houses on their books they would have earned huge commission from in 2006, why would they put much effort into selling that one? Sounds like they didn't! And i'm guessing most buyers wouldn't register with HRT if they were looking for a 2-bed in Big-end anyway? ?